Help make our plans of expanding our programming into rural communities a reality. 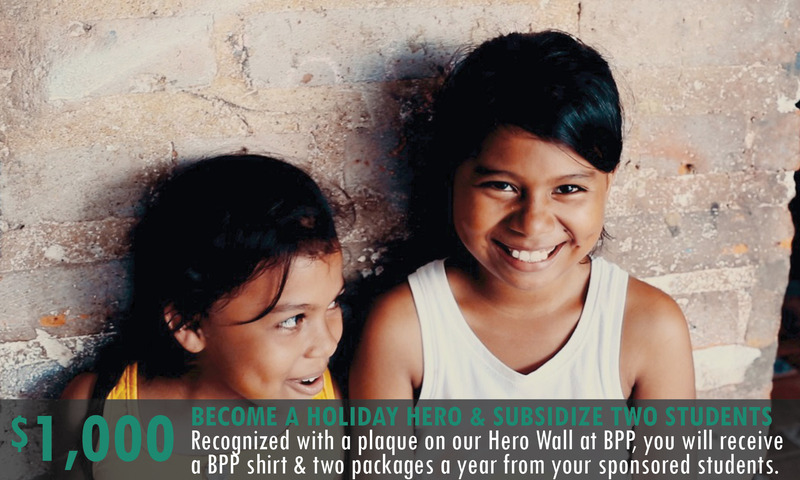 This holiday season, Help a Child Grow. Kristel was six when she started attending BPP in 2010, and how she got there is really the story of how BPP came to exist. 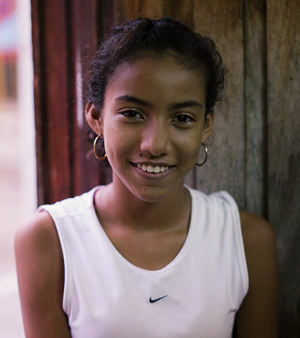 Kristel's mother, Josefa, was a single parent working two jobs trying to make ends meet. Along with other parents, she reached out to Dyani, an American who was living in their community. The parents told Dyani that learning English was a priority for their children and asked if she would offer classes. This conversation became the first of many about how to create a mutually beneficial exchange between the local and ex-pat communities. BPP started with free English classes in the local library. The demand was high and these classes quickly expanded into other classes that were rooted in community need and children's interests. Since BPP's founding in 2009, over 1,000 students have graduated. This year, over 200 children participated, and more than 150 volunteers from all over the world contributed to student development. 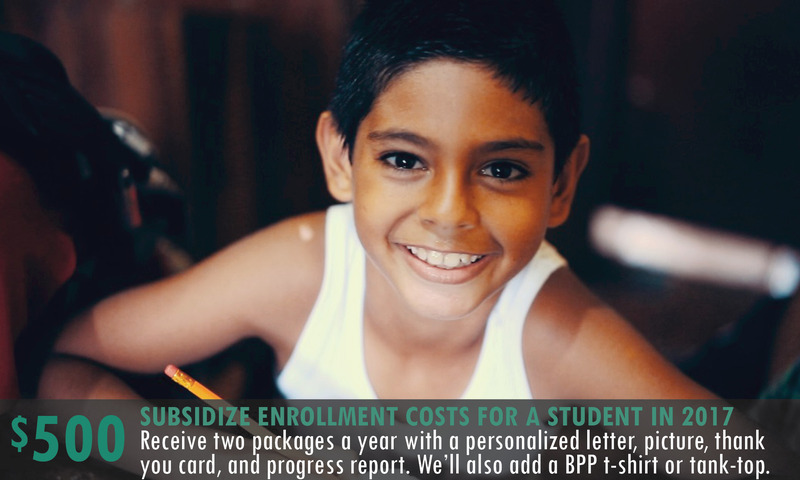 Every year BPP holds a holiday fundraiser to help pay for teachers, maintain our school building and improve teaching methods. This year BPP plans to grow. 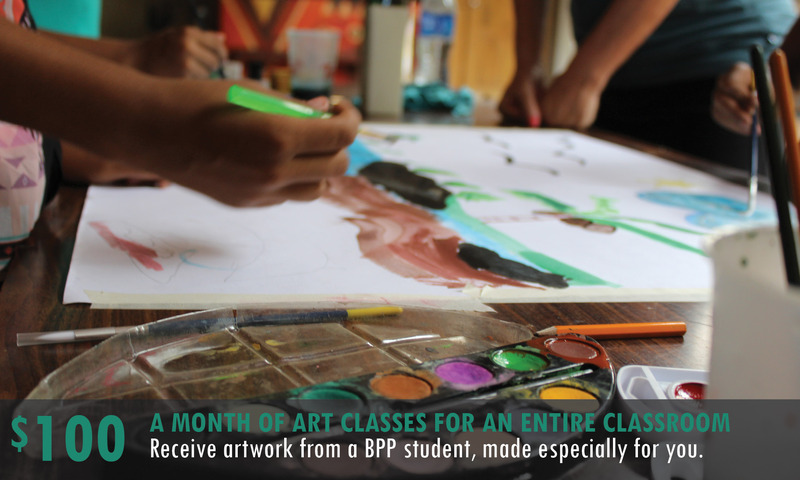 We want to offer BPP's programming to children in nearby rural areas. 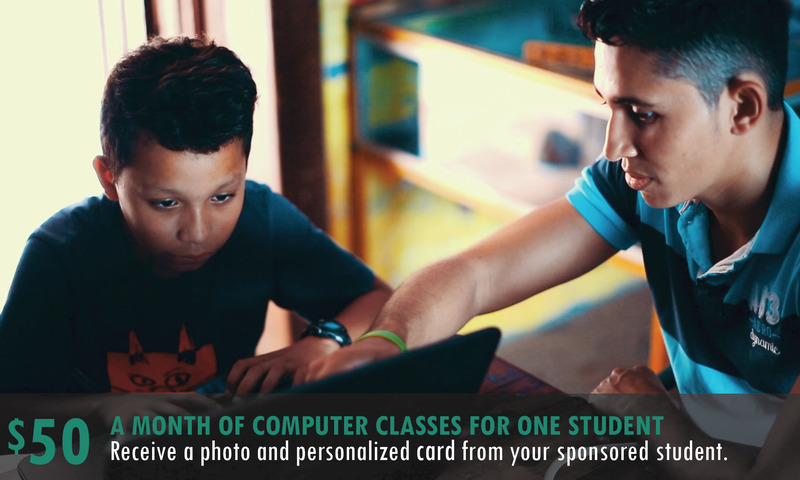 With your help, we can take steps to expand and begin to serve these students and their families. All donation amounts are in US dollars. 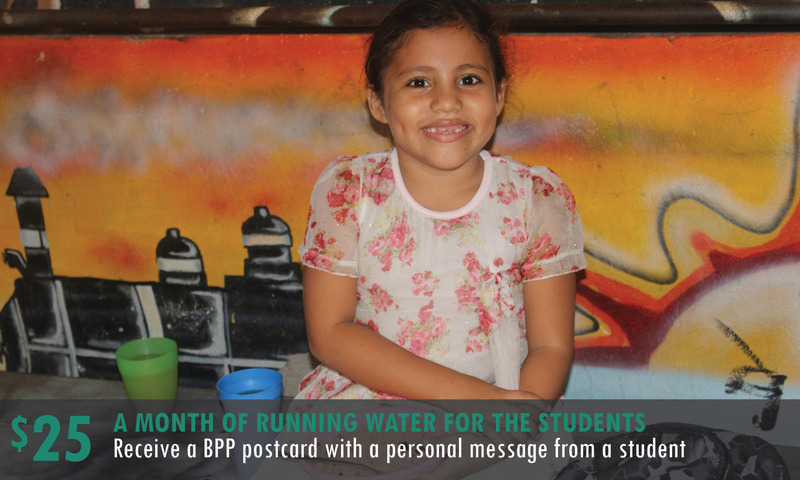 Your donation will go directly to help BPP expand its impact in Nicaragua, giving students like Kristel an opportunity for a better life. This donation is from San Juan del Sur community residents. Thank you for your contributions. Thanks Dyani and all the BPP volunteers for making a difference in these young lives. You are truly and inspiration and give love and hope! long overdue donation promised when Mike Jay raced the gruesome volcanos! Donation towards Kezia's work with preschool literacy. Thanks for continuing the amazing work that you do and for growing!! Donation has been made in the name of Ara Pachmayer. I will be coming to San Juan del Sur in February and hope to stop by your organization to visit and see your operation. Happy Birthday - in honor of Brandon.